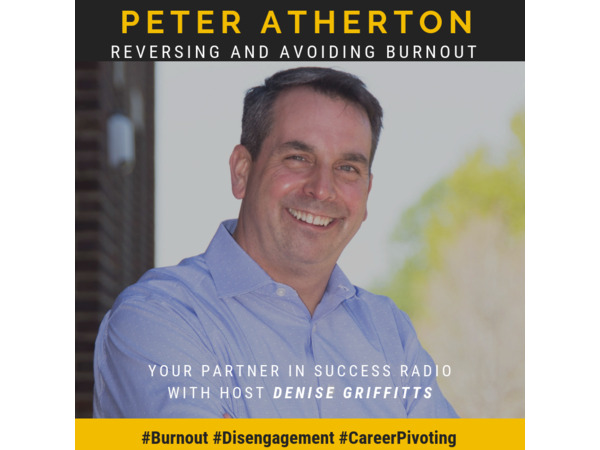 Peter Atherton is the President and Founder of ActionsProve, LLC and the author of 'Reversing Burnout. How to Immediately Engage Top Talent and Grow! A Blueprint for Professionals and Business Owners'. Peter wrote this book to help high-achieving professionals and business owners win at work and life, and organizations create greater growth and profits through more effective employee attraction and retention, impact, and branding. Prior to founding ActionsProve, and for more than 20 years, Pete was a very successful and accomplished professional civil engineer. Pete sold his engineering firm ownership to focus on designing systems for you and your organization to grow and succeed in more relevant and effective ways. For over a dozen years, Pete has also been serving in multiple capacities in the non-profit sector to achieve both local and global impact and is a co-founder of the 100 Men Who Care chapter for Knoxville and the 100 Men Who Care chapter for Southern Maine.